​INDIA: Sri Latha, our girl with HIV, has shown some improvement this past month. She is now taking some food. Last month it seemed she had only days left here on this earth. Please continue to pray for her as she is still a very sick young woman! ​INDIA: Venkata Lakshimi, one of our widows, has cancer. Last month she was also near death. The doctors gave little hope for recovery. She is now receiving medication and show ing great improvement. She wants us to thank those of you that gave to the emergency medical fund so she could get her chemo treatments. ​A HUGE thank you to a donor last month that offered a matching gift of up to $5,000 towards the “Our House of Hope Haiti Mission Center! $8,132.97 was donated. With the matching gift of $5,000 the total donated last month was $13,132.97! Praise the Lord!!! Already another donor has offered up to $3,000 matching funds for April! Our total collected towards our September payment of $200,000 is now $139,281! We now are praying for $60,719 to meet the September deadline. Just a reminder: This home will be our Haiti ministry center and will host church mission teams as it has for many years. The revenue from this will support our Jehovah Rapha House special need home for decades to come! HAITI: Don spent time in Haiti last month with Julie McFadden and our Haiti staff planning for the future of our Haiti ministry. Exciting plans are being made! While there we met with high Government officials who complimented us for what we have done at Jehovah Rapha House. Their only complaint is that they need us to take more children, but we are out of room! They also asked us to consider a nursing home. While in Haiti we looked at potential rental homes large enough for Jehovah Rapha House expansion. Please pray for our Haiti staff as some tough decisions were made during that visit and many more will be made in the weeks and months to come. We have some very qualified applicants hoping to run the Our House of Hope ministry center. Pray they can raise their monthly support. Praise God with us as we see our Jehovah Rapha House children making great improvements physically and emotionally. We are seeing smiles on faces that lacked emotion when we first met them. We thank God for this wonderful opportunity to be a part of their lives! ​HONDURAS: Colton led a team to the Sandy Bay Lighthouse Ministries orphanage on the Island of Roatan last month. 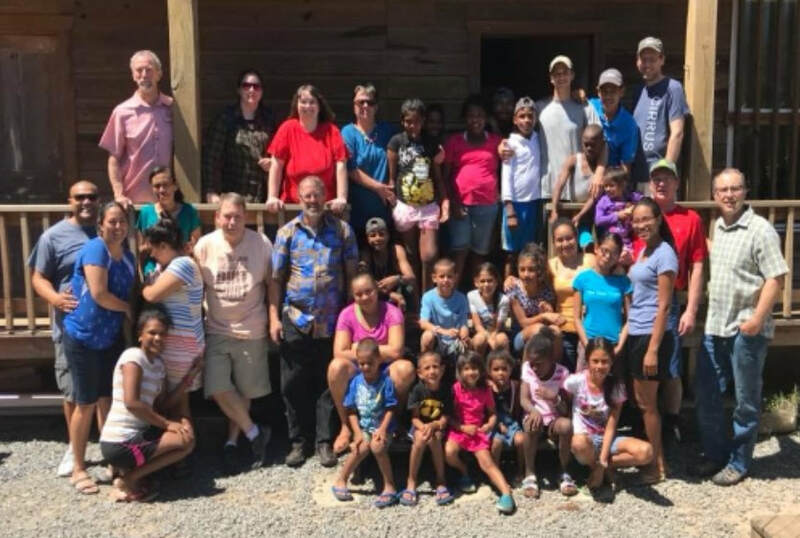 We want to thank the team which included members from Salem Covenant Church in Pennock, MN, led by Lee Tollefsrud and Randy Bevis, for installing a tilapia farm. Some of the boys from the home will run the farm and the fish raised will feed the children at the home and also create a source of revenue for the ministry as they sell the surplus to the community. There is a possibility that we might try to do this in India as well. What a huge help that would be!!! 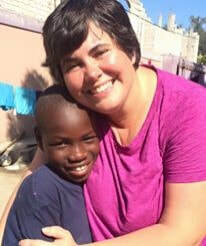 Please pray for Julie McFadden, our Haiti Director, and her family. Their house in Illinois was badly damaged in a house fire in late March. No one was injured! For that we thank our Lord! Isaiah 32:18 "My people will abide in a peaceful habitation, in secure dwellings, and in quiet resting places." ​OUR HOUSE OF HOPE UPDATE: Last month I wrote to let you know of a guest house in Haiti we would like to purchase. Our intent is/was to combine Jehovah Rapha House with the Guest House. Unfortunately, the Haitian government might not allow the two to be in the same place. This was totally unexpected and we are waiting for the final word. So we have a dilemma. The guest house (Our House Of Hope) is a safe and popular place for mission teams to stay while in Haiti. The founders are long time friends. They offered it to us and immediately lowered the price by $100,000 to $590,000, payable over the next three years. THIS INCLUDES 2 VANS, ALL THE FURNITURE, GENERATOR, TOOLS, etc! In the immediate future, income from the guest house should help to offset our two final payments. Once the property is paid for in three years, the annual income from the guest house would offset many of the expenses for our two orphanages. My goal is to prepare the ministry for the day that I cannot be out there doing concerts and fund raising. (No! I am not retiring yet!!! Just preparing for that inevitable day I cannot do this anymore.) Once we fully own the guest house, income can be used to purchase property for Jehovah Rapha House and to cover the expenses of caring for the children in both homes. (We may need to be looking for a temporary rental for Jehovah Rapha House.) The ultimate goal is to bring our Haiti ministries to a place where between our faithful monthly supporters and the guest house income, monthly expenses would be completely covered into the future. Here is how you can pray. We are currently interviewing some wonderful people to become full time missionaries with our Haiti ministries. By September, we need an additional $70,000 to make our first payment of $200,000. Some of you have already given and we are so encouraged to now have $130,000 towards our first payment. This is a huge step of faith, but it makes sense in so many ways for our future ministry in Haiti. Julie McFadden is now overseeing our Haiti outreach and doing a wonderful job! She is a part of the future plan we see God orchestrating. CAN YOU HELP? Do you know a business person, friend, or foundation that can help us reach our first payment due by this September? Thank you in advance for being a part of our miracle! 100% of your gift will go to Haiti to help provide for the future of our orphaned children and handicapped residents. MYANMAR: Thank you for those who prayed for us last month while we ministered in Myanmar (formerly Burma). Many lives were eternally changed! People walked 2 days through the mountains to come to our meetings. Many cried when we left as they so appreciated our visit and encouragement. It was a special time! The meetings were well attended. Some had never seen a trumpet before! Many said we were the first “white men” they had ever seen. The roads were terrible but worth the long trip! Our bed was the floor of the church pulpit area. The trek to the bathroom was down a hill, through the gate to the pig pen and to the out house “squatty potty” in the middle of the pig pen. Yep! This was truly a mission trip to remember!! Thank you so very much for your prayers and for your faithful support making it possible for me to continue using my trumpet to serve. I love it!!! Please pray for Julie McFadden and Colton Draeger as they lead mission teams in Haiti and Roatan, Honduras this month. The team in Honduras will be installing a tilapia farm at Sandy Bay Lighthouse Ministries. WE MUST MOVE BY SEPTEMBER, 2019! Our landlord has informed us that he is not renewing our lease for Jehovah Rapha House. 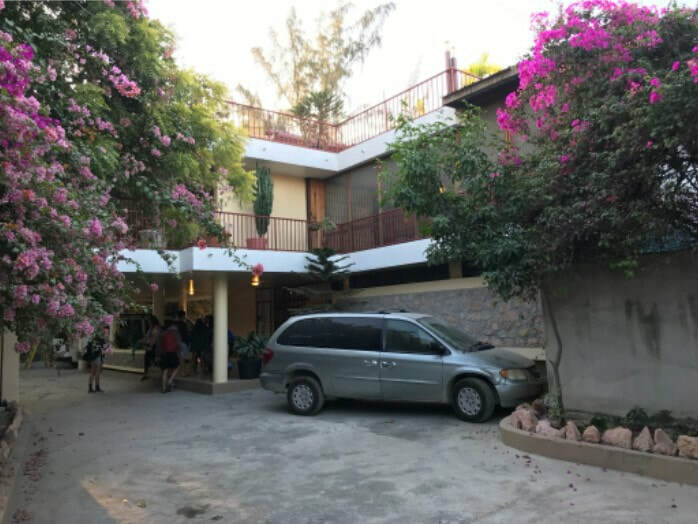 We have found a home that not only will house our 31 special needs children, but it will also serve as a guest house for mission teams that will provide income for the ministry for many years to come. It is currently booked solid and is producing enough profit to greatly subsidize our annual expenses in Haiti. This would be such a blessing in future years. The profits will subsidize our annual payment plan that the current owner is generously offering to us. The payments are as follows: $200,000 in September, 2019, $200,000 in September, 2020 and $190,000 in September, 2021. As of the writing of this letter, we have $125,000 towards our down payment. An additional $75,000 is needed by September. WHY DOES IT COST THIS MUCH IN HAITI? Good question! Good neighborhoods are hard to find and there is a shortage. This makes properties like this a premium. The house should list at $700,000. Keep in mind it will sleep about 50 people! The owner has dropped the price for us. It is in a good neighborhood and the price is very competitive to other homes in the area. It is a safe neighborhood (for Haiti). The neighbors have a neighborhood watch program and many are ministries. Pastor Dari, who founded Jehovah Rapha House, was shot in the neck and left for dead a few years ago when living in an unprotected neighborhood because the local gang knew he might have support money in the home. When it is suspected that foreign funding is supporting the ministry, it becomes a target. This new location would not be such an issue. The place we are looking at has a medical clinic nearby (our special needs children require being close to medical assistance). A school is close where some of our children attend. The home has a large generator and comes with 2 newer vans. It is fully furnished and has air conditioning. There are many more wonderful amenities! WHAT IF WE DO NOT REACH OUR GOAL? WHERE DOES THE MONEY GO? 100% of your donation will go to the Jehovah Rapha House housing need. If we do not meet the payment deadline we will need to look at other properties. WE HAVE TO MOVE IN SEPTEMBER! Your donation will be used to rent or purchase another property to care for our children. Do you know someone that can help us? Will you help us? This is urgent! Thank you so very much! MISSIONS REPORT: The Mission Cruises went very well! Thank you for your prayers. Our Haiti team from Minooka Bible Church was awesome! Don will travel to Myanmar this month using his trumpet to draw crowds for evangelism. He leaves on February 9th. Prayers are greatly appreciated! The Faith in Action construction team is looking for volunteers to join them in April. They are traveling to Georgia to build a US Base home for missionary Mike Dawson from Venezuela. Contact Mark Jeske at info@fiamissions.org for details. ​Don is scheduling concerts for 2019 (and beyond). Go to the Schedule page, check when Don will be in your area, find an available date and email Ruth at concerts@donshire.com. Even if it doesn’t appear that Don will be in your area but you would like to schedule him, please send in a request. If we can work it out we will! We will come for a love offering. We do not know what the future has, but we know that JRH will be moving. We are planning a trip so that people will be able to help us move and set up a new home. Please mark your calendar if you are interested. We will have the ability to sign up in the near future. If you have question, please email us at haiti@donshire.com. 1.Our landlord at Jehovah Rapha House has given us until the end of September, 2019 to find a new home. It seems no one so far wants to rent to a home of children with special needs. We need a place to rent or we need to purchase a home or property and build. To buy a place that is adequate will take a miracle as property in Haiti is surprisingly expensive. Big time prayers needed here!! 2. We need to construct a convalescent home for our aging widows. Several of them need special care and attention. 3. Many of the children in our orphanages are reaching college and university age. This is a new adventure for us as we try to help them into adulthood. Pray for wisdom as we plan for their future. 4. In India, we have one girl with Leukemia and another with AIDS. They are very sick. 5. There is a growing anti-Christian movement in India. Please pray for our protection and that the government or others will not interfere with our efforts to help those in need and share the good news of Christ. 6. A new ministry opportunity in Myanmar has been presented to Don. Please pray for him as he travels there as part of a ministry team in February to hold outdoor evangelistic meetings in remote villages. 7. Pray for our staff as they continue to serve together as God continues to “expand our borders”. Thank you so very much for your prayers! Thank you also for partnering with us financially! Widows in India continue to sew scarves and recently introduced some new products like shawls and tote bags. The sale of these items helps so much in supporting our overall outreach to homeless widows by welcoming them into our group homes and providing for them. If you are planning a women’s event where we might be able to sell the above items, please contact us. 2019 starts out loaded with opportunities to serve! ​This month we travel to Haiti from December 31-January 7 to minister at our orphanages as well as helping at some other ministries. January 12-19 is our first week of Mission Cruise. We will minister at the ports of Grand Cayman, Roatan, Honduras, Belize City and Cozumel, Mexico. January 20-27 takes us to the ports of Labadee, Haiti, Falmouth Jamaica, and return to Cozumel, Mexico. We have mission opportunities coming up in March to Roatan, July to Haiti and November to India. If you would like to serve with us, please go to our Missions tab for details. Our ministry trip to India was wonderful! Our children are growing up! Some are now in college, some are married or getting married. Unfortunately, some are suffering. Hima’s leukemia is back and she is very sick. Another girl is suffering from AIDS. Some of the widows are in need of constant care. It sure makes us glad that God is in control! He knows each situation! He desires our prayers. A trip highlight was us being asked to do a program for the school some of our children attend. I was able to share the gospel. The headmaster who is Hindu told us that since our children began attending the school that God has been blessing the school in many ways. He wants them to know about Christ! After our program he asked us to pray for him and his wife. WOW! Is that awesome or what!!! Last month Pastor Cenor was beaten and robbed in Haiti while buying food for the children. Please continue to keep our homes in Haiti in your prayers. We thank you for keeping us on your prayer list! May your Christmas be blessed in every way! Merry Christmas from your India Family! CURRENT NEEDS: As we end the year the needs are great, but, so is our God! We completely trust God for His provision. Often He provides before we ask, affirming that He is trustworthy! One of our supporters recently told us that they like to give to specific needs. If they do not hear about them, they assume all needs are met. They urged us to make the needs known. Included this month is a list of some current needs. For some items we have already sent the money putting several funds in a deficit. Already this month we have seen God’s army respond to His leading even before this letter is sent! Praise the Lord!!! Please look at the list, pray for God’s provision, and then if God leads you to give we want you to know it is greatly appreciated. REMEMBER THAT 100% OF DESIGNATED GIFTS GO TO WHERE THEY ARE DESIGNATED. NO ADMINISTATION PERCENTAGE IS TAKEN. 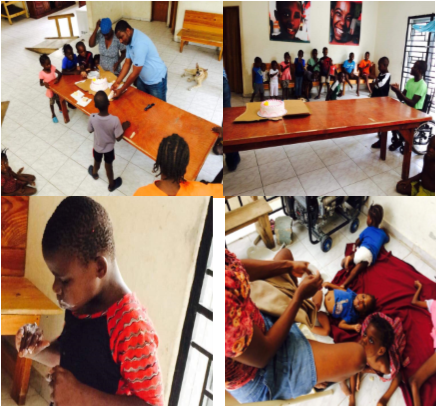 USA/INDIA/HAITI: Your year end gift is very much needed and appreciated! We are very thankful that on “Giving Tuesday” $1,300 was given towards the above list. END OF YEAR GIFTS: We are so grateful for the many year-end gifts to our ministry. They are key to our ending the year in the black. A gift to our general fund helps very much through the lean months allowing us to transfer funds to areas where it is needed most. We know that some of you would prefer to designate your gift to a part of our ministry near to your heart. Those gifts are appreciated too! Funds where we could really use additional money would be: the emergency medical fund, all of our orphanage funds, and especially our Haiti building fund. As many of you know, we have less than one year to find a home for our Jehovah Rapha House in Haiti. We have about $100,000 saved through designated gifts to purchase a new home. Property in Haiti is surprisingly very expensive. While we have not yet found the right property, we know that we will need thousands more than we have. We will keep you posted. We know that God has already set aside the perfect location and will provide in His time and according to His will. HAITI: Thanks for your prayers for Ally! He continues to recover from two months in a coma and being diagnosed as “brain dead”! He has a ways to go, but we are all encouraged at the progress thus far. We had a team in Haiti the end of October. God, in His perfect way of doing things, sent team member Cheryl who is a professional at caring for children in this condition. Please keep praying for Ally and our “special” family in Haiti! ​ Kathy and I want to thank our ministry family for your prayers and support. When we reflect on the year, and remember the months where we knew it would take a miracle, it has been so encouraging to see those miracles happen. Thank you for being a part of our miracle, and may the Lord richly bless you for helping us to touch many lives in India, Haiti, and around the world. We are truly thankful! INDIA: This month Don and Kathy will lead a team to India. Please keep us in prayer as we visit our homes for widows and orphans. We will also be holding evangelistic meetings and pastors conferences. Watch for updates on our Don Shire Ministries Facebook page. THE RENT IS PAID!!! We were informed last month that we would need to leave our rented home for Jehovah Rapha House in Haiti. Then our landlord gave us one more year, but told us we will need to leave in one year. $10,000 was needed to pay the next year in full! Many of you gave and we were able to make that commitment. However, we entered October with -$2500 in the Jehovah Rapha House account. Please consider a special gift for this special ministry. Friends, we need to find a new location for Jehovah Rapha House. Please pray with us as we seek our new home. We would love to either buy a place already constructed or purchase property and build to accommodate the special needs our children have. To buy a place will take a miracle. Well, God is fully aware of the need. Stay tuned!!! INDIA: Don will lead a team to India in November. Your prayers are appreciated. For updates, look at the Don Shire Ministries Facebook page. On August 31st we celebrated one year since adopting Jehovah Rapha House, a home for those with special needs, into our DSM family. Through all of you, God has provided in miraculous and unexpected ways! Here are two prayer requests: Our rent, in the amount of $10,000, is due for next year on October 1st. We currently do not have the needed funds in the Jehovah Rapha House account. There is a chance we may lose our lease and be forced to move. The owner’s wife does not want children with special needs on their property. Pray! Moving the children can be traumatic. We pray the next time we move that it will be to a permanent residence for Jehovah Rapha House! If you would like to help, please mail your contribution or visit the "Give" tab to donate toward this urgent need. INDIA: We recently hosted Pastor Prabhu from India. He oversees our India outreach to orphans and widows. We planned, prayed, and visited friends and churches. We are so blessed to have wonderful people on our DSM staff! Pictured are Kathy, Don, Prabhu, and Julie McFadden. Julie continues to do an outstanding job overseeing our Haiti ministries. Please pray for our staff as we all want to represent God well. ​Do you remember Pastor Bendji? He was the child at our Faith in Action House in Haiti that prayed for all of us when we spent time at the orphanage. His grandfather now has employment and came for Bendji and his siblings, Chinailove and Job . We cried many tears to see them go but at the same time we are very happy they will be with their loving grandfather. ​HAITI: Four year old Ally remains in a coma in Haiti. It is now over one month since his seizure. He is on a feeding tube and all other life support has been removed. He is a little fighter. Please pray for this little guy from our Jehovah Rapha House. GOD PROVIDES INDIA SCHOOL FUNDS!!! Last month we asked for your prayer and financial help as we sent $17,000 to India to put all our orphans in school. Thank you for your response! We had to use the money for August food last month to pay for the school fees. I wondered how God would provide to cover our August expenses for India. Well, here is some AWESOME news! We had $11,000 come in through donations, and a VBS in Illinois, through their “coin collections offering”, collected $3,445.00. WE WILL NOW BE ABLE TO COVER THE COSTS FOR FOOD! Praise God and again thank you all so very much!!! 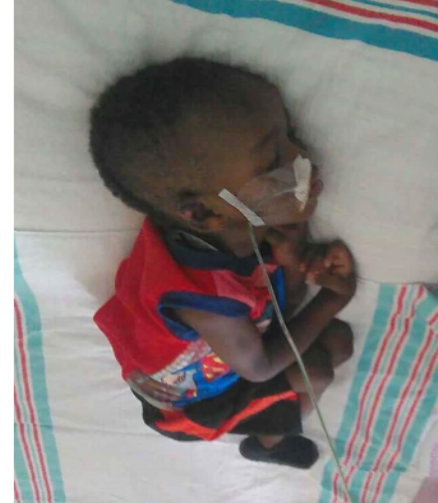 HAITI: At the time of this writing, our newest boy at Jehovah Rapha House has been in a coma for 4 days as the result of a seizure. 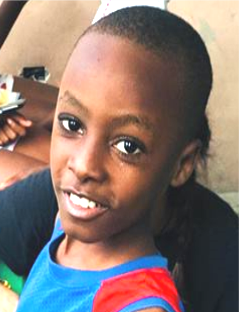 We ask you to continue to pray for Ally and his Jehovah Rapha House family. Thank you very much for helping us care for him! This girl, Deepika, is one of our orphans. She lives with her grandmother. She has scoliosis and is severely disabled. Doctors tell us that with surgery there is a possibility to correct the paralysis so she can sit on her own and even use the toilet which she currently cannot do. Her grandma is overwhelmed. The surgery will cost $13,000. We will help as God provides. ​​This month we said goodbye to Sunny from our India orphanage. He came to us homeless and unloved. While he was with us he had a loving family at the orphanage and, best of all, he learned that Jesus loved him and died for his sins. Yes, he came to us homeless, but now he has an eternal home as just weeks after being diagnosed with cancer, God took him home. Thank you for your investment in Sunny’s eternity and for helping the many other orphans and widows under our care! ​Another church VBS asked their children to raise funds to provide chickens for our Haiti orphanages. PRAISE GOD! 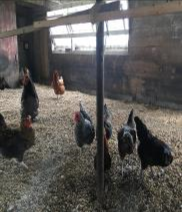 80 chickens will soon be providing eggs and meat for our children! It is a blessing to see children helping children in Haiti! We would love to invite you on a trip to Haiti. Don Shire Ministries needs your help to continue to make an impact for Christ in Haiti. We need all kinds of skills. Both of our homes in Haiti need your help! Please prayerfully consider coming! The trip is October 22nd -29th. .Applications may be found on the MISSIONS page. ​We are so very, very thankful to Hungry For a Day for their fundraiser last month to help feed our children at Jehovah Rapha House! Check out their Facebook page and “like” it for further opportunities to help others. 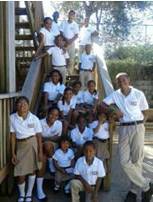 We sent some extra money last month so our children at Jehovah Rapha House in Haiti could go on a field trip. They went to a park and had a special picnic. They have never had this kind of opportunity before. Thank you all for making this possible!!! ​INDIA: The following was sent from a boy we rescued from living on the platform roof of a train station a few years ago: Dear Dad Prabhu and Grandfather Don Shire, Greetings! I am Anish whom you caught at the railway station of Vishakapatnam and gave me food and took me as your child to DSM Orphanage. I am thankful to you for investing your love and kindness in me. I came to DSM with rude behavior but now I am physically and spiritually growing. I have finished my 10th grade. Now I want to go good college, to have good job and I will learn from you who support orphans like me. I have no words to say thank you. I am praying for you! ​INDIA: Our children are going back to school. Tuition and books have increased in India. We need to come up with $17,000 to get our India orphanage children in school. The curriculum changed, requiring the purchase of all new books. $60 for books and $35 for tuition per child. If this is an area where you can help, I say thank you in advance! 100% of designated funds will go to this purpose. Please designate to "India school". ​This month we wired $24,817 to support our orphans and widows in India and Haiti. Thank you to those that supported us through another month. We look forward to seeing God’s provision for next month’s needs. Our God is awesome!!! ROATAN, HONDURAS: Colton (DSM Agriculture) is teaching the children to plant a garden and raise chickens at the orphanage. We are praying for a bountiful harvest that will feed the children and provide affordable and healthy food to the surrounding community. ​Kathy was honored in May as she received birthday greetings from India as our orphans and widows had a birthday party in her honor. Cake, balloons, and even party hats! A Korean Church has been a faithful supporter of Jehovah Rapha House for several years. While they could not cover the costs of the home, they have helped wherever they could. They continue to help! Recently, they bought Bradley a glass eye. He is thrilled! We want to take this opportunity to thank ALL of you that are a part of this amazing team helping our ministries to orphans and widows and to the underprivileged. Without you none of this would be possible. 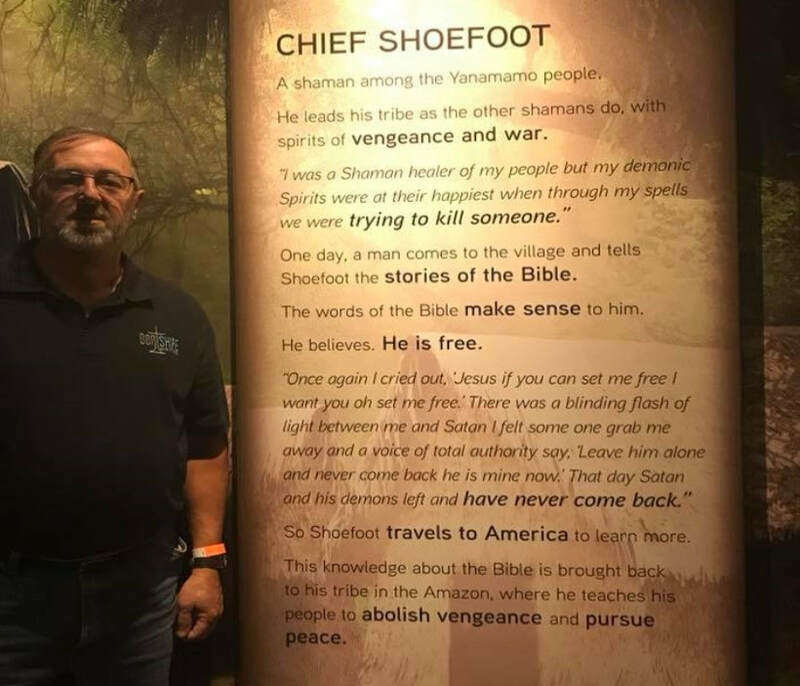 ​While visiting the Ark Encounter in Kentucky, I was thrilled to see the tribute to my old friend Chief Shoefoot. It told how he brought the word of God to his tribe. Please pray for the Dawson family as they serve in the troubled country of Venezuela. James 5:7 Be patient, then, brothers and sisters, until the LORD's coming. See how the farmer waits for the land to yield its valuable crop, patiently waiting for the autumn and spring rains. ROATAN: This month Colton will travel to Sandy Bay Lighthouse Ministries “Greenfield Children’s Home” on the island of Roatan, Honduras. He will be cultivating the land and starting the process of planting a sustainable garden. This garden will provide healthy vegetables for the children as well as income from sales of the produce to the island residents. Our children will learn how to best utilize a small piece of land to grow their own food. They will also begin the process of raising chickens. Please pray that all will go and grow well. HAITI: I would like to introduce you to Wismilie. She is about 12 to 18 months old. Her mother left her with Pastor Dare. We have waited to tell you to see what would happen with this beauty. She came to the home on April 11th. Her story is similar to many children in Haiti. She is youngest child to a mom who has many children, no husband, and no job. We are taking her into the Jehovah Rapha House family. Please pray for little Wismilie. We have all fallen in love with her. Please pray for the many mothers and families in Haiti that are left with so many hard choices for the children they love. Early this month a 4 year old special needs boy was brought to us. He was abandoned, scared, and starving. The government told us there was no other option. The ministry is growing. We can use your help. Thank you to those that are already supporting the work in Haiti! Would you like to meet them? Dates are now on the Missions page for Haiti mission trips for this year and next. ​INDIA: Don received this note from one of our boys in India. He is sponsored into a pastor’s home in India. He was once living on the street. The children there call Don “Tataya”, which means “grandfather”. ​ “Dear Don Tataya (Grandfather Don) Thank you so much for your prayers. Today my 10th grade results were released. I found that I got first in class. I was so happy. My pastor Dad and family are so much happy. I cried with happiness because of you Don Tataya. Because of you now I am having this life and family. I am thankful ever. And also I want to go further studies. Thank you for prayers. 2 Chronicles 14:7 For he said to Judah, "Let us build these cities and surround them with walls and towers, gates and bars. The land is still ours because we have sought the LORD our God; we have sought Him, and He has given us rest on every side." So they built and prospered. Our newest resident at Jehovah Rapha House is Fabiola. Both of her parents have died. She was taken in by a cousin, but the cousin’s husband will not let Fabiola stay with them. She is alone. She is 16 and she is mentally challenged. We are asking for prayers for Fabiola as she adjusts to life at Jehovah Rapha House. We pray we will be a blessing to her. If you would like to sponsor one of the children at Jehovah Rapha House or one of our children at Faith in Action House, please visit our sponsor page, or feel free to write us at haiti@donshire.com. INDIA: Our India children and widows (below) gathered together for a special time of praise, prayer, and worship the days before Easter. Pastor Prabhu said many of our sponsored children were also there and he was very happy to hear the wonderful reports from the children on how happy they are in their new homes. The widows by the rice paddy are asking for a protection wall around their home. Poisonous snakes keep crawling from the fields into their yard. They use an outhouse and they are afraid to go out at night to use it (that is a problem!!!). A block wall will cost $8500. Would you consider helping us with this expense? ​As we get to better know the children at Jehovah Rapha House, they share their stories. On our February trip Neltha told us her story, her dreams and her love for Jesus. She is a beautiful young woman! She was abandoned by her family. They left her crying in the middle of the street. She cannot walk and has limited use of her arms. She said that God saw her in the middle of the street! He did not forget her! The Dares found her and brought her to Jehovah Rapha House. She dreams of being a nurse someday. She wants to help care for the other children at the home. On this trip we were able to provide her with her very own wheelchair!!! None of this happens without your support. Thank you for showing the love of God to children like Neltha! ​FAITH IN ACTION HOUSE IS COOL!!! A huge thank you to Java Relief for helping us purchase a new refrigerator for our Haiti orphanage. They are thrilled! Order your coffee at www.javarelief.com and help them to continue helping ministries like ours who help children in distress. Ed Armstrong always promised that once he retired he would travel with us to help at our missions. We hear that a lot. But, he meant it!!! Ed has been faithfully joining us on our Roatan and Haiti trips. He has been a huge blessing! He sure would like some help! Are there any of you that will join us this year? ​Hi! I am Julie McFadden. I am so excited to be joining the Don Shire Ministries staff. I am thankful for the chance to serve the 51 children that we care for in Haiti. I am humbled by your continued support of this ministry! MISSION CRUISE 2018 OUR 17th YEAR!!! Our two mission teams last month proved once again that, yes, you can use a cruise ship to serve the Lord! We ministered near the ports of Grand Cayman, Jamaica, Haiti, Cozumel, Belize City,and Roatan. We visited orphanages, schools, prisons, local parks, homes and churches where the good news of Jesus was shared and those in need of a work project were helped. Plan now to join us next January. Go to www.missioncruise.org for more details. 15 year old Bloncie went to be with Jesus in January. She had a severe seizure and did not recover. This was very hard on our staff and Jehovah Rapha House family. Please keep them in your prayers. ​Sudheergamma, one of our India prayer widows, went to be with Jesus in January. Please pray for our India family as they grieve. She loved the Lord and we are so happy to have provided for her here as she waited to be with Him. Don and Kathy are traveling to Florida for concert ministry this month. The schedule is not yet full. If you know of even a small church that would enjoy a concert anywhere in Florida, please consider making a referral call. A good referral goes a long way! 1. Our staff is growing and they are raising support. They can use your help. Julie McFadden (our Haiti rep) and Colton Draeger (sustainable farming) are both in the midst of raising their support. Would you consider a monthly gift for one or both of them? 2. $20,310 is needed to complete the second level of our India orphanage/widows home. Praise God for His provision thus far! We are getting close. 3. As our ministry grows, so do our expenses. Your one time or monthly gifts to the general fund are helping to keep us in the black. DSM trusts God for His provision and has never taken a bank loan. No part of your donation will go to pay interest. 4. Don is scheduling concerts for 2018 (and beyond). Go to our Schedule page, check when Don will be in your area, find an available date and email Ruth at concerts@donshire.com. Even if it doesn’t appear that Don will be in your area but you would like to schedule him, please send in a request. If we can work it out we will! We will come for a love offering. Our Lord continues to bless DSM in so many ways! We are very excited to enter 2018 ! Additional staff, more space for the orphans and widows in India, and new vehicles in India and Haiti are all going to be a wonderful blessing. But, friends, there is so much more to do! We are excited as we continue to step out in faith anticipating that the Lord will provide through our faithful support team. We anticipate “...great and wondrous things…” (Jeremiah 33:3). Please pray for us as we serve this month in Haiti, and then in Mexico, Belize, Grand Cayman, Jamaica, and Honduras during our two weeks of Mission Cruises. 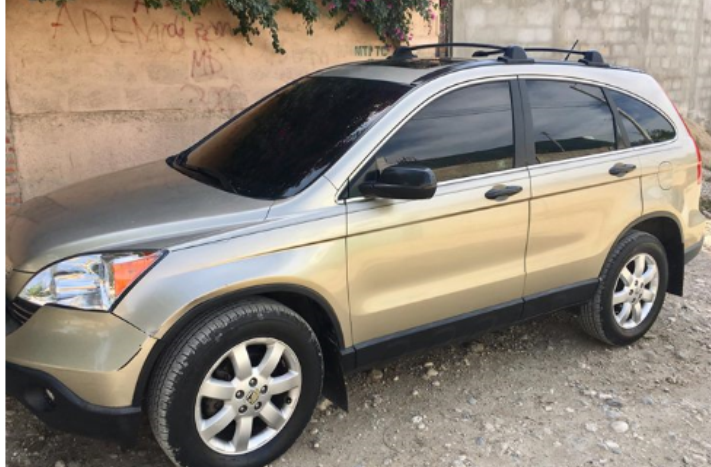 ​The 2007 Honda CRV for Jehovah Rapha House is ready to help transport our special needs children to the hospital when having seizures! ALSO, a pediatric medical equipment vendor donated the much needed items you see in the picture to the right. They will be a huge blessing for our physically challenged children! PTL!! 1. Our staff is growing and they are raising support. They can use your help. Julie McFadden (our Haiti rep), and Colton Draeger (sustainable farming) are both in the midst of raising their support. Would you consider a monthly gift for one or both of them? You can set up a monthly contribution on our website. 3. As our ministry grows, so do our expenses. Your one time or monthly gifts to the general fund are helping to keep us in the black. Thank you to all those who sent a year-end donation!!!! 4. Don is scheduling concerts for 2018 (and beyond). Go to the website, check when he will be in your area, find an available date, and email Ruth at concerts@donshire.com. Even if it doesn’t appear that Don will be in your area but you would like to schedule him, please send in a request. If we can work it out we will! All we ask is for a love offering. ​Our trip to India was wonderful! Imagine walking into a room with over 300 children and all of them are excited to see and get a hug from “Don Tataya” (Grandpa Don). I felt so blessed. We had a team of 7 and it was obvious they were specifically chosen by God to be on the team as each one daily made wonderful contributions. Are you considering coming along next year? It would be good to let us know now so we can begin to plan and you can begin your fund raising efforts. Once again I use the word “overwhelming” as I realize we just sent over $37,000 to cover the December costs of our work in India, Haiti, and Honduras. It would be unbelievable except that God is the provider! Thank you for being a part of our ongoing miracle! May your Christmas be blessed in every way! 1. $6,722.70 for a solar power system for Jehovah Rapha House (special needs children) in Haiti. 2. $3,000 to purchase a generator for Jehovah Rapha House. 3. $1,000 for materials to build beds at Jehovah Rapha House. 4. $1,000 to purchase or build additional furniture for Jehovah Rapha House. 5. $1,300 for a new laptop computer for Don’s concerts and travel. 6. $2,500 for new electric inverter and batteries for Faith in Action House in Haiti. 7. $100 for each new mattress for Faith in Action House. 8. $1,000 for general repairs at Faith in Action House. 9. $180 for a new refrigerator for Faith in Action House. 10. $40,000 needed to finish the second level of our India orphanage. Any amount so designated will go directly to that fund. 11. $50 to become a monthly sponsor of an Indian orphan. This places the child into the home of an Indian pastor. See Sponsor tab for details. 12. $35 is the monthly need for each Indian child in one of our orphanages. Designate "India orphans" and 100% of your donation goes to that fund. 13. $35 is the monthly need for each widow in our Indian widow group homes. Designate "India widows" and 100% of your donation goes to that fund. 14. $20-$40 to become a monthly sponsor for a Haitian child at Faith in Action and Jehovah Rapha homes (we need multiple sponsors for each child). 15. Prayer partners needed. Each day brings new challenges as we take care of those God has placed in our care and those that continue to come to us. Please pray for us daily. 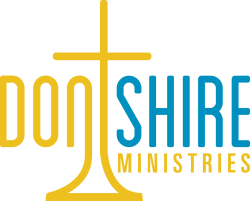 “Like” our Don Shire Ministries page on Facebook to receive current updates and requests. 16. Volunteers needed as we travel to minister to the physical and spiritual needs of those in our care. See Missions tab to check some of the opportunities available. Financial responsibility: We pledge to you that 100% of designated funds go where requested with nothing taken out for overhead. If this policy ever changes, we will tell you. Because of the above, we always appreciate funds given with no restriction. Those gifts go into our general fund from which we pay our salaries and general expenses. We keep enough in general fund to cover at least a month's expenses, but often transfer additional funds where they are needed most. We appreciate that many of you check the box "where needed most" with your gift. We do our best to be good stewards and use the funds wisely. If you ever have any questions about how we use your gift, please ask us as we want to be transparent and responsible. 2 Chronicles 5:13 (a) The trumpeters and musicians joined in unison to give praise and thanks to the LORD…. We give thanks to the Lord!!! 1. Hundreds have come to Christ through our evangelistic outreach here in the USA and abroad. 2. Almost $300,000 has been sent since January to support over 500 orphans and widows. 3. Colton has started developing Ruby Ridge Farm to help raise support for orphans and widows and to teach them self-sustainable living. 4. 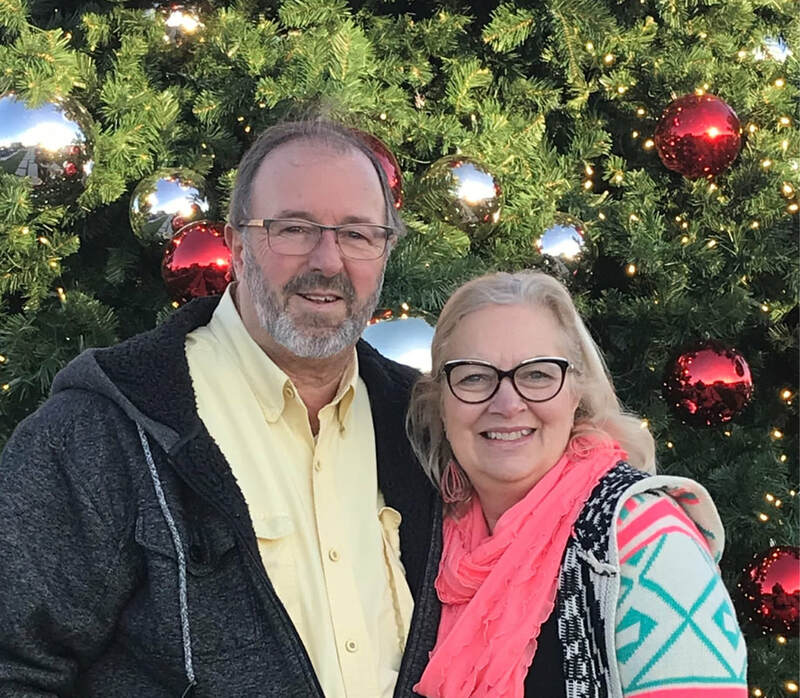 Property has been given to Don and Kathy making it possible to spend more ministry time in Virginia (we hope to build there in the future as the Lord provides). 5. 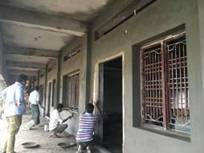 The first floor of the new orphanage in India is being used, with the second floor almost finished. 6. Two small vans were purchased for the India orphanage to transport our children. 7. Our granddaughter, Laura, a student at Nicolet Bible Institute, is fulfilling part of her ministry assignment here in our office. 8. Our new Jehovah Rapha House ministry in Haiti was started and God is providing for their needs. 9. We have an awesome staff of volunteers that help to keep our growing ministry moving forward!!! 10. God has provided a full schedule for Don to serve in concert ministry throughout the United States. 11. A new school building should soon be finished in time for the 2018 school year at Greenfield Children’s Home in Roatan, Honduras. 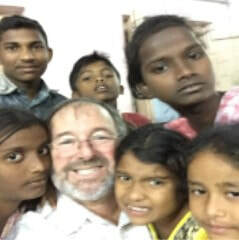 MISSION TRIP INFO: We (Don and a team of six) are in India this month visiting our orphanages and widows homes and participating in evangelistic meetings. Prayers are appreciated! MISSION TRIP: We are now accepting applications for our March 11-18 trip to Roatan, Honduras. We will be working on the new boy’s dormitory at the children’s home and spending time with the children. 1. Christmas is coming. We would like to give Christmas presents to all of our orphans and widows. Approximately $8,000 is needed with about half of that already raised. This is usually a gift of clothing. 2. HELP NEEDED: Don is scheduling concerts for next year in the Midwest, Florida, and Virginia. Any referrals are very much appreciated! 3. 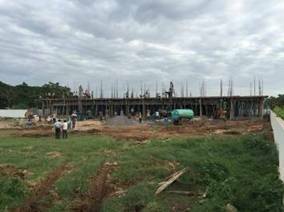 Construction is coming along on the second floor of our India orphanage. We continue to send funds designated for the construction as they arrive. It is a miracle in the making! Thank you all for your gifts! INDIA PRAISE: This is Hema. Many of you have been praying for her. She was diagnosed with Leukemia and we were told she had very little chance of survival. The doctor even advised us not to bother with treatment since she was "just an orphan". SHE IS DOING WELL!!! She is still taking medication, but the doctor now feels she is healing. Can anyone give a PRAISE THE LORD!!! Thank you to those that continue to pray for her and also to those that have helped us! 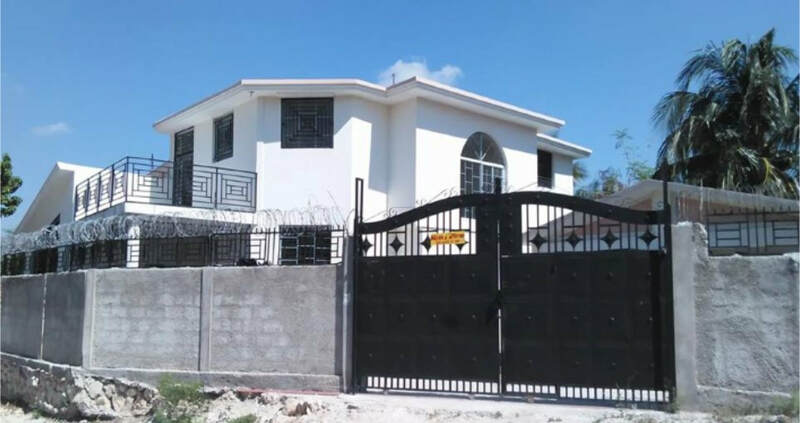 ​HAITI PRAISE: Our newest Haiti ministry, Jehovah Rapha House, has a home!!! They have now moved into their new building! This is very much an answer to prayer! Thank you so much!!! There will be many expenses as we prepare the home for use. Any contributions to our ministry designated to the Jehovah Rapha House (translated means "God Who Heals") will go to this DSM outreach. We are so excited to see God at work! SPECIAL NEED: Some of our children have serious health issues. Because of frequent hospital visits, we need a car. Can you help? (approximately $15,000 needed). accept more children on the island desperate for help. ​INDIA PRAISE: Babulu was alone and homeless when we found him on the street crying from hunger. He is now in our orphanage and going to school. 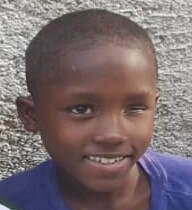 Again, we thank those that support our ministry so we can continue to take of children like Babulu. agricultural businesses that will provide employment opportunities in the countries where we minister for the young adults graduating from our sponsorship programs and orphanages. Thank you to those that support Colton and Mia. We are very excited as this ministry has much potential. “Shire “ or “Colton” Coffee? "By wisdom a house is built, and by understanding it is established." JEHOVAH RAPHA HOME UPDATE: Please pray for Pastor Dari as he continues to seek a new home for our 28 special needs residents. When the potential landlord finds out who wants to rent the place, the rent either doubles or they refuse to rent to us. We hope to buy property soon and build one-floor homes for them, but our current lease is ended and the landlord wants them out now. We need to raise about $200k to do this (that is just a guestimate and these numbers could change as we seek and find property and finalize plans for the buildings). We will have much better negotiation abilities if we have the funds available when we find the property. Can you or someone you know help? 100% of designated donations go to where they are designated. Mr. Orsy and his wife, Banesa, continue to lead the ministry at the Greenfield Children’s Home in Honduras. We are hoping our new school building will be ready for use when January classes begin. At that time we will begin to accept children from the community to join with our resident children as students. To get more information, go to www.sblmroatan.net. We can use your help as we continue to ask the Lord to provide for the materials. For those interested, Don will be leading a mission team there in March. Applications are available on the Missions page. 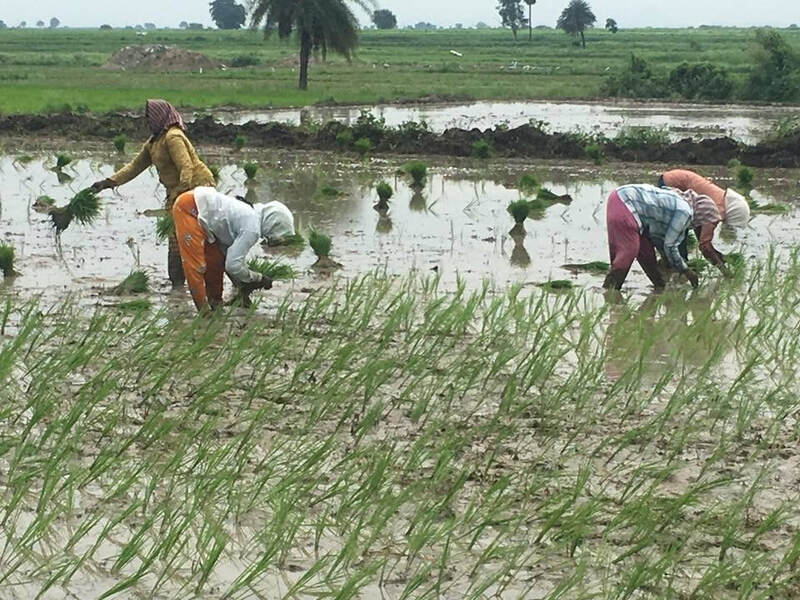 ​​INDIA UPDATE: Some of our pastors and widows have been working hard to plant rice in our 2 rice paddies. Thank you to all of you that helped us purchase these rice paddies several years ago. They have truly been a blessing! Please pray for a great yield. 1. PRAISE: We will be purchasing a second van this month for the India orphanage. Thank you to those that helped! able to pay the bills! PTL!! 3. HELP NEEDED: Don is scheduling concerts for next year in the Midwest, Florida, and Virginia. Any referrals are appreciated! 4. PRAISE: Construction has begun for the second floor to the India orphanage. We will be out of funds for that soon. Please pray for an additional $120k so we can finish. Proverbs 31:8-9 Open your mouth for the mute, for the rights of all who are destitute. Open your mouth, judge righteously, defend the rights of the poor and needy. ​JEHOVAH RAPHA HOME (means "The God Who Heals.” ) is now officially an outreach of Don Shire Ministries. We just wired money to compensate the beautiful staff that have faithfully taken care of 27 special needs children for 3 months without receiving their pay. Next: WE HAVE FOUND A HOME to rent until we can find property to purchase and build a proper home. We still need to read the fine print on the contract but so far it looks like the rental home will work. That cost is $7000 per year and the first year needs to be paid up front. We will need to fix up the home, buy or build beds, purchase mattresses, purchase medical equipment, wheelchairs, food, etc. I write this to say WE CAN REALLY USE YOUR HELP! God has provided some funds to get things started but much more is needed. We also will be saving to purchase property, etc. This needs to happen as soon as possible. This is a step of faith, but we already see God's hand in all of this which just makes it fun! We get to see God be God!!! Please consider joining our support team. And, of course, your prayers are so appreciated! ​COOL GHANA STORY! : Do you remember me asking for prayer for the Chief in the Muslim village of Kulungungu, Ghana? Last month we had a nice visit with him. I would love to tell you that he is now a believer in Jesus, but, not yet. BUT HIS WIFE AND SON ARE!!! God is in the house. We look forward to working with him in the future to help the people in his village and it is our prayer he will someday come to know Christ. During our visit, one of the Chief's relatives said: "I am not a Muslim or a Christian. How do I know which one to believe and which one is right?" It provided a wonderful opportunity to explain to all of them why I have put my trust in Christ. I want to thank you again for your prayers! And, by the way, the other elderly gentleman in the picture is one of my team members. He is from Georgia and is 85 years old! Ed was a real pleasure to have with us! So, my friends...as long as you are still kickin', why not serve the Lord! 1. PRAISE: The Ghana trip went very well. Thank you for your prayers! 2. NEED: The summer slump in donations is showing its ugly head here. We are ok, but if you can help us through the slump it will be a great help! 3. Don is scheduling concerts for next year in the Midwest, Florida, and Virginia. Any referrals are appreciated! ​HAITI: Taina was able to have her surgery to remove a sack of skin that covered her eye. Her healing continues! Thank you to those that contributed to our Emergency Medical Fund to make this possible! FROM DON AND KATHY: Kathy’s mother, Clara Johnson, at age 96 went to be with Jesus on June 14th. We would like to thank all of you who sent cards and memorial gifts to our ministry in her memory. We experienced great love from our Christian family and were so blessed! Her funeral service was a wonderful tribute to a woman that loved and prayed for her family and who faithfully served her Lord until she just physically could not do it any longer. What a wonderful legacy and reminder for us to do the same. 1. Don is leading a team of 4 to Ghana, West Africa this month to remote villages to share the good news of Christ. Please pray for them as they travel and share. 2. Pastor Prabhu, our India partner, will be coming to the States for 2 weeks to visit ministry friends and to meet with Don to discuss the many details that keep the India ministry moving forward. Please pray the trip will be safe and productive. 3. We praise God for Silver Birch Ranch (our ministry neighbor and friend) as they celebrate 50 years of ministry this month. 4. Please pray for Colton as he begins to develop his ministry goal of helping our foreign ministries toward self-sustainability. ​ZAMBIA: A few weeks ago we had the joy of seeing our friend, Joseph Mbambe, at Colton's wedding. Joseph, a Zambian, oversees over 13,000 Awana clubs in Africa. The day after the wedding Joseph had to rush back to Zambia. His sister-in-law died after giving birth to triplets. Joseph and his wife will be adopting these babies. I hope to send a gift to help them get started with this unexpected privilege. If you would like to help, designate your gift to our benevolence fund/Joseph. I recently met a pastor in Haiti who is trying to care for severely mentally and physically challenged children. The children have been receiving minimal meals due to lack of funds. The 17 children were either abandoned at the hospital or left elsewhere and are unwanted except for this loving pastor and his wife who is a nurse. Don Shire Ministries, under the leadership of our volunteer Haiti coordinator, Julie McFadden, has agreed to fully support this home. It will become one of our ministry homes. We have agreed to a probationary period to make certain there is a good working relationship and trust. The need is desperate. They are being evicted from their rented house and we are desperately looking for a new place to rent and then possibly property on which to build. Right now we are asking for prayer that we will see clear direction soon in how to proceed. This is a huge step of faith but we feel confident in God's leading us to do this. It is a step of faith, but God is always faithful to touch hearts when there is a need.. Thank you for your prayers! We will keep you posted as prayers are answered. ​· Living in the poorest city in our western hemisphere, Taina in Haiti really had little hope of ever receiving plastic surgery to fix a large flap of skin that covered her eye. Because of your financial help she had her surgery. We will send her new look in a future newsletter. · Our team of 4 will be in Ghana next month sharing the gospel in remote villages. · As mentioned above, we will soon be starting to fund an orphanage for physically and mentally challenged children. 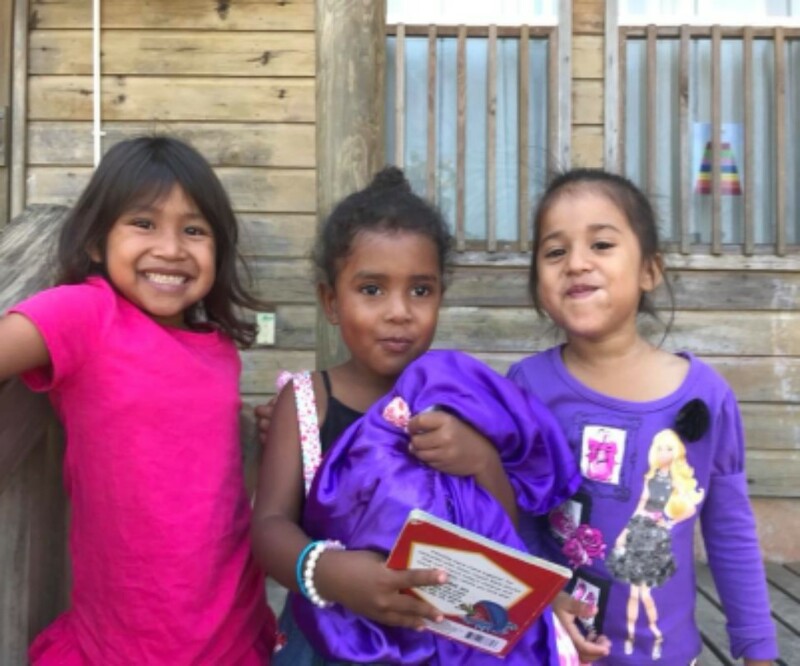 · A new school is being constructed at the children’s home in Roatan, Honduras. · Our hundreds of orphans in India will start a new year of school this month and there is money to pay for the books and uniforms. · We have someone joining our team of volunteers. Julie McFadden will begin to oversee our Haiti ministries. Oh yes! GOD IS SO GOOD!!! Thank you for partnering with us as we enjoy this awesome opportunity to serve! ​Colton and Mia Draeger were married on June 3rd in a beautiful, God honoring ceremony on Mia’s family property in VA. Mia will be studying medicine and Colton will begin practicing sustainable agriculture with the goal of teaching our foreign partners self-sustainability. Please pray for the newlyweds. And, as God leads, please consider supporting them on a monthly basis. They currently have about 50% of their monthly support raised. Genesis 2:15 ESV "The Lord God took the man and put him in the garden of Eden to work it and keep it." ​We have received questions regarding the situation with Compassion International in India. Thank you for your concern about how it is affecting our ministry. ​I feel frustrated,” president and CEO Santiago “Jimmy” Mellado told CT.
That’s because Compassion has worked every angle to try to stay open in India since last February, when India’s Ministry of Home Affairs put it on a list of organizations needing prior approval before transferring funds into the country. Then the government refused to grant such approval. The government’s move can be traced back to 2011, when it changed its Foreign Contribution Regulation Act so that it could regulate NGOs it disagrees with philosophically, Mellado said. The move was seen by many as another step toward Hindu nationalism since 2014. India is now No. 15 on Open Doors’ list of countries where it’s hardest to be a Christian, up from No. 31 in 2013. Compassion channels about $45 million into the country every year, more than any other charity. Almost 40 percent of the local Indian churches that Compassion partnered with are still working with the children, albeit without the financial support. After all, this isn’t the first time Compassion has been forced to leave a country. In 1985, after 17 years serving children in Indonesia, Compassion pulled out “in order to maintain its commitment to financial integrity.” But by 1988 it was back, and “some of the children in the programs were pastors of the churches that helped bring us back,” Mellado said. To answer your questions, yes, it is indeed difficult to work in India. There is much persecution of Christians and especially pastors. However, to date there has been no interference in our ability to send funds for helping the orphans, widows and our sponsorship program. We do ask for your continued prayers. Recently Colton spent 3 months in the Philippines learning sustainable agriculture. Our goal is to teach our foreign partners how to be as self-sustaining as possible. We are also looking at opportunities to start businesses. These businesses would be owned by our foreign ministry partners with the goal of providing employment for our widows and our graduating orphans. Please pray for wisdom and discernment as we seek God’s will. Pray that our decisions will bring Him glory. And pray for the Christians in India. Again, thank you for your prayers and support! Prov. 21:13 "He who shuts his ears to the cries of the poor will be ignored in his own time of need." LAST CHANCE, BUYING TICKETS SOON FOR GHANA, AFRICA: Would you like to travel with Don to Africa this summer? The remote village of Kulungugu is located in the Upper East region of Ghana where DSM with the Faith in Action team has been privileged to plant and build several churches. Ghanaian Pastor David Alale has asked us to join him to participate in evangelistic meetings in this village. It is primarily a Muslim village, but there are some Christians there and they would love to see their church grow. The dates are July 1-11. The cost will be $2,800. This includes airfare and all related costs to and from Ghana. Children’s ministry, sharing testimony, or even preaching the evangelistic message are all optional ways to use your gifts. Contact Don at don@donshire.com . ​Our children keep growing! We want to thank all of you that help support our orphan care. We try to buy most of their clothing from local vendors to help the local economy as well as to get clothes for our growing children in a timely manner. Can you imagine providing clothes for almost 300 children? I was informed by Pastor Cenor that the clothes are getting pretty tight on our Haiti children. Because of your help we are able to purchase clothes that fit! Our India children are also in constant need of clothes and shoes. Thank you for remembering that just like our own children, the expenses never end. ​Colton is still in the Philippines until April. He is studying and practicing sustainable living with a missionary friend that specializes in teaching people to survive/thrive off of their property. It is our desire to not only teach our orphans to be self-sustainable, growing their own organic vegetables and meats, but to also teach others how to best use their land to its potential. Please continue to remember Colton in your prayers. Praise: Colton and Mia have a farm to live on after they are married with land that will help jump start his newly learned gardening techniques. ​Don and Kathy have spent the past month in the RV in Florida. Don has been doing concerts and sharing about DSM’s outreach to orphans and widows. There are many “snowbirds” that visit Florida in the winter months. They represent churches all over the USA. Already there are many promises to share our information with their home churches. Many have indicated that God used the concert in a powerful way in their lives. What an honor it is to serve in this way. And, yes, the bonus of escaping the Wisconsin winter is pretty nice as well! ​ROATAN: This month Don and Kathy will be leading a team to Roatan, Honduras. They will be visiting and working through Sandy Bay Lighthouse Ministries. While Sandy Bay Lighthouse Ministries is not a part of DSM, we have been involved almost since it started. Don is president of the board that oversees the children’s home and school. We are very excited to see God at work on the island of Roatan through those who serve children. The Beacon School, part of SBLM, is accredited and our children are receiving a quality education. We will begin accepting students from the community next school year. We have a team of 8 that will be in Roatan serving at the children’s home with us. Your prayers are appreciated. You can find out more at www.sblmroatan.org. Colton is in India for 11 days visiting our orphanages and widow homes. He is hoping to research ideas that can help them be more self-sufficient. He is also sharing the good news of Jesus at meetings. We are praying God will use his time there in every way. Colton will return to the Philippines after India to continue his internship learning sustainable living. We are excited to see how God uses this skill in his future ministry. We are hoping he will be able to teach our orphans and widows gardening skills to make the best usage of our properties. * We are still looking for someone to join our ministry that can focus on our internet, computer, video and brochure needs. * We need sponsors for our orphaned children in India (see sponsor page). * Please consider putting our ministry on your daily prayer list. * There are still Sundays and lots of week days available for concerts. Will you look at our schedule on the Schedule page and see if there is an opportunity for Don to visit your church? GHANA, AFRICA: Would you like to travel with Don to Africa this Summer? The remote village of Kulungugu is located in the Upper East region of Ghana where DSM with the Faith in Action team has been privileged to plant and build several churches. Ghana Pastor David Alale has asked us to join him to participate in evangelistic meetings in this village. It is primarily a Muslim village but there are some Christians there and they would love to see their church grow. The dates are July 1-11. Cost will be $2,800. Includes air fare and all related costs to and from Ghana. Children’s ministry, sharing testimony or even preaching the evangelistic message are all options for this trip. Contact Don at don@donshire.com for more details. MISSION CRUISES 2017 WENT VERY WELL! ​· STAFF POSITION: We are looking for someone to help in all of our creative and technical needs with computers, videos, web site, brochure, etc. · PRAISE: INDIA VAN - We now have $22,080.83 saved for a van for our India orphanage. The one we have chosen is around $30k. We are getting close! 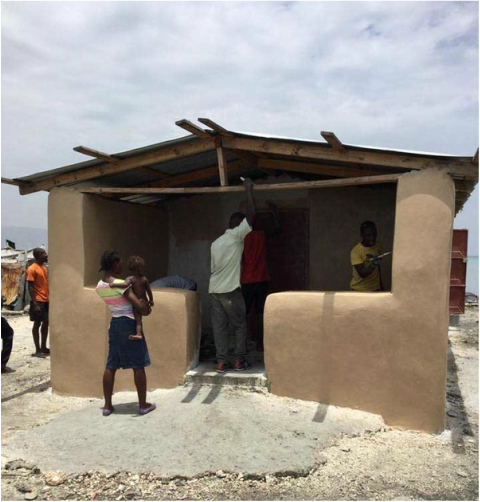 · PRAISE: The Haiti team in January built a new widow’s home and she is thrilled! ​Colton is in the Philippines until April. He is studying and practicing sustainable living with a missionary friend that specializes in teaching people to survive/thrive off of their property. It is our desire to not only teach our orphans to be self-sustainable, growing their own organic vegetables and meats, but to also teach others how to best use their land to its potential. ALSO BIG NEWS: Colton is now engaged! Mia Hubach and Colton will be married in June. They met when she was on a mission trip to Haiti. Mia is from Virginia. Please put them both on your prayer list as they prepare for their wedding and make decisions for their future. Colton plans to continue serving with our ministry full time after marriage. Mia will continue her studies to be a doctor. New Year’s Thought: Being 61 years old to some sounds ancient and to others it is still young. To me it is simply a wakeup call that the years seem to be flying by and the urgency is even greater to share the good news of Christ with as many as possible. We rejoice as we reflect on all those that accepted Christ through our efforts and God’s direction last year. We anticipate that 2017 will be an exciting year of serving Christ. You have made this possible through your financial support and prayers. Thank you so much! Now, let’s get this year started! This month we start in Haiti and then, through our Mission Cruises, minister in Honduras, Belize, Mexico, Haiti, Jamaica, and the Cayman Islands. And that is just January!!! than all the golden fancies of all our golden dreams. 'twill be the old, old story that I have loved so long. A lady in Virginia has a new ministry. She buys scarves made by our India widows and gives them to ladies she meets that need some encouragement. Our widows are helped and those that receive them are blessed as well. Could you do something like this? Contact Kathy and have her pick you out a nice assortment of scarves. ​Colton recently ended his one year commitment in Haiti and is now planning for a few months of ministry in India and the Philippines. In the Philippines he will intern at an orphanage that has been extremely successful at self-sustainable living. Every inch of their property is in some way producing food or income from selling the excess produce to the community. The goal is to learn and bring this knowledge to our orphanages and widow’s homes. Please pray for Colton as he serves. Matthew 1:21 "She will bear a son, and you shall call his name Jesus, for he will save his people from their sins." ​INDIA: With each annual visit we marvel at what God is doing through our efforts to minister to orphans and widows in India. We also see the overwhelming need to do more. This year twelve street widows asked if they could live at one of our orphanages and help with the children. There wasn’t room for them, but, the pastor in charge warmly received them. They sang songs of praise to God as we all celebrated their new home. We hope to do better for them in the future as God allows. But, for now they have a home. We are confident God will provide for them as He always has through our support team. It is a privilege to help these dear ladies. I live in the beautiful Shenandoah Valley, Virginia with my husband and our infant son. I began working as the accounting manager for DSM in 2013. At the time, I knew next to nothing about the ministry. It was not very long before I was blown away by the work God was doing, and I realized what an awesome opportunity I had just walked into! I became the coordinator for the Orphan Sponsorship Program about a year later when the lady who previously held the position resigned. Having worked fairly closely with her during my time at DSM, I felt that my familiarity with the program gave me a head start in stepping into her shoes. I am a passionate believer in the goals and purpose of this program. It is simply amazing to see so many children being cared for both physically and spiritually, being given the chance to have a family, and an education. Giving children, who once had no hope or future other than begging and abuse, the ability to make something of themselves. I am so fortunate to be even a small part of it, and I can't wait to see what God has in store for these kids in the years to come! FROM DON AND KATHY: In recent newsletters we have introduced you to some of our staff and volunteers. As you have seen, we are truly blessed! There are many others that help, throughout the year, by calling churches to recommend Don for concerts, those that travel with us to the mission field, and certainly those that send us through their prayers and financial support! As we celebrate this Christmas and all that it stands for, we thank our Lord for all of you! We are excited to see what will happen in 2017 as we continue reaching out to a lost world! 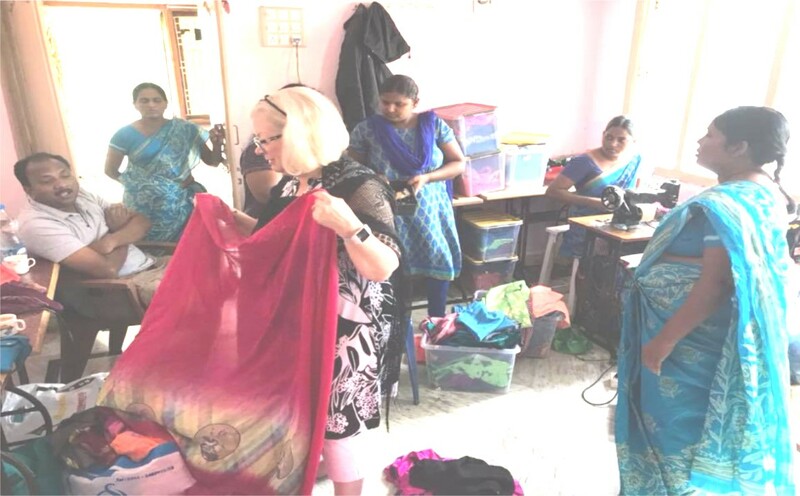 · PRAISE: We recently sent over $51,000 to India to pay off the new orphanage, buy cots for widows, chairs for them to sit on, food for almost 500, gifts for all of them and even some extra for their Christmas celebrations! God is amazing! · NEED: Your year-end gift means a lot to us as it will carry us through the leaner winter months ahead. Gifts to our general fund allow us to use the funds where needed most. If you would like to give to a specific need, we promise that 100% will go to that fund. · PRAY for Don as he was recently diagnosed with Type 2 Diabetes. Life on the road presents it challenges as he tries to make lifestyle adjustments. · PRAY for Colton and Don as they lead teams this month to Haiti. · PRAY for our Haiti orphanage and how to proceed into the future as we are looking for property and leadership. ​HEMA UPDATE: While we were in India last month I had the opportunity to visit with Hema. She is still a very sick little girl, but, she is showing positive results from her continued chemo and other treatments. Our recent wire transfer to India also included another $2000 for her treatments. Thank you to those who are praying and contributed to our Emergency Medical Fund! ​HAITI: This month Colton will host 2 teams to Haiti. They will build homes for the homeless and reach out to very poor communities with medical and spiritual outreach. Colton has also been using his experience working in his grandfather’s bakery by volunteering to help a local bakery in Haiti, which has offered wonderful opportunities to share God’s gift of salvation. Colton would also like to thank all those that are supporting him to serve with DSM and his hope is that you will all have a blessed Christmas. As we enter the Thanksgiving season, Kathy and I want to take this special time to express our sincere thanks to all of you for your financial and prayer support. Only Heaven knows the impact of your gifts in sharing the Gospel and reaching out to those that desperately need help. ​INDIA: Don and team are in India this month. As of the writing of this newsletter the reports are that the new orphanage will be complete and ready to dedicate! Praise the Lord!! Please remember to pray for the team this month as they travel to visit the widow’s homes and orphanages. If you want to keep up with them, go to the “Don Shire Ministries” Facebook page. Don plans to send updates as often as possible. * Each year at Christmas we give each orphan and widow in India a new outfit. Our annual cost is around $8,000. We have an India Christmas fund for this purpose. 100% of your designated gift will go to that account. * We are still looking for land in Haiti to build an orphanage. Please pray for God’s direction and provision. * End of year gifts are a large part of the funding that carries us through the new year. If you will, please remember us as you allocate your year-end giving. * Don has planned a winter concert tour in Florida. He still has dates available in February, March and April. You can help by putting in a good word for him with your friends and contacts. Your prayers are appreciated that the Lord will open the doors for ministry. * Praise the Lord! The Mission Cruises are completely full for January. You might want to plan ahead for 2018. Applications will be available in January. Or, you can write Jane Pierson, our Mission Cruise Coordinator, and ask her to put you on the list for 2018 and to send you the info when it is ready. It broke our hearts to tell several that we could not take them this year as we are filled to our maximum. THE STUCCO IS GOING ON WHICH MEANS GREAT PROGRESS IS BEING MADE! EXCITING!! ​ PRAISE THE LORD WITH US!! ​My husband Matt and I live near New Holstein, WI where we raised our two sons. I first heard of Don Shire Ministries when Don played a concert at our church, but the most significant "contact" came through a woman who attends our church. She asked if we would be willing to financially sponsor an Indian orphan so the child could be adopted by a Christian pastor. We agreed to sponsor two boys feeling this was how God wanted us to use His money and excited to be able to make a difference. The sponsorship program was fairly new and I felt led to contact Don to offer to help coordinate this sponsorship program in some way-if he needed help. His reply was that he really needed help coordinating mission trips and the rest is history! I will only add that it is very fulfilling to be involved in work that is so clearly God's work. It is a joy to partner with Him. · We desire to provide a Christmas present for each orphan and widow in our care. Please consider a gift to our Christmas fund. · We are now scheduling concerts for Don in 2017. Is your church or group interested? Write concerts@donshire.com. Ruth is waiting to hear from you! 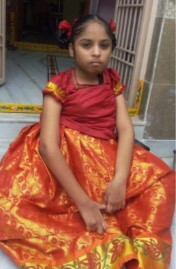 · Continue to pray for Hema, our girl with leukemia in India. · We are still looking for property in Haiti to build a new orphanage. Please pray for God’s leading. ​Colton is back in Haiti for a few months. Please pray for him as he is leading a church Bible study and counseling. He is also making plans for teams that will be visiting in the months to come. They will be building homes for widows. We began the finishing stages for the ground floor of the orphanage! Praise God! Funds were donated to put the workers back on the job! We still need your help. We would love to get our children in this home by the end of this year. About $30k is still needed. 100% of your designated gift will go to the India building fund. ​Dear Friends, I have just arrived back in the U.S. after a very successful journey to the country of Zambia in Africa. Don Shire Ministries sent me off one month ago today, in hopes of creating a small business to empower a local ministry (Salt and Light International Ministries) to become self-sustaining, and have the financial freedom to continue to reach out to their own people with the Gospel of Christ. That small business came in the form of compressed EarthBlocks; the same technology we have used to build homes for widows in Haiti. 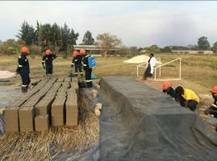 The first two weeks in Zambia were spent testing soils and making test bricks. After we found the strongest and most economical mixture, we promptly began production! Not long after we began producing the bricks, the ministry’s first order of 11,000 bricks came in! Today we testify to the goodness of God in bringing all of the pieces together, and giving us the grace to overcome many challenges! Please pray with us for SLIM as they nurture this project into a beacon for good, and a platform for Christ! Last month you met Ruth. This month we want you to meet Crystal, another of our valued volunteers. What a blessing it is to know that our email list stays current and it is sent in a timely manner. We are so thankful for the team God has assembled here at DSM. I moved back to Virginia in 2012 after serving overseas for six years. Teaching in Turkey and Morocco had forever changed me and a passion for missions was still there when Don visited our church, Trinity Baptist, early in the spring of 2013. I had been looking for ways to serve now that I was back in the states. Don had visited our church several times before, but this time he mentioned a specific need; someone to send out his newsletter electronically. I knew this was a way that I could help serve. I love how God answered both of our prayers; God is good! We have temporarily halted construction on the new orphanage in India as we have gone over budget due to unexpected material costs. We are close, but additional funds are needed. Please pray with us and, as God leads, please help us complete this project. The latest word from India is that Hema continues to receive her treatments and is continuing to show signs of positive recovery as she battles leukemia. She has a long way to go. Please keep praying! Thank you to all who have contributed to our medical fund. It was great to have Colton home from Haiti for a few weeks. He is now in Zambia setting up a microbusiness teaching pastors how to make earthblocks so they will have an income. Then, in September, he goes back to Haiti until February. Please keep Colton in your prayers. We still have room on our November trip to India and also on the Mission Cruises in January. See our Missions tab at the top of the page for India details and application. Go to www.missioncruise.org for details on the Mission Cruises. Kathy and I realized several years ago that the Lord has blessed and grown DSM to a place where we could no longer manage it alone. We began to pray for help in specific areas. One of them was in the area of communication with churches, pastors, worship leaders, and mission committees that ask for me to come to their church for a concert or missions conference. With my travel schedule often taking me out of the USA, it was sometimes weeks before I could respond. Then God sent us Ruth! Please read about her in this month’s letter. She is an answer to many of your prayers for us. Thank you!! ​Last month a man approached me before a concert and wanted to talk to me. He wanted to thank me for coming to his prison several years ago. It was that day he committed his life to Christ. He said his life changed that day. He is now out of prison and doing well. Thank you for making it possible for us to minister anywhere the Lord opens a door! ​Over four years ago Don came to my church, Minooka Bible, to present his ministry through music, word and pictures. Without hesitation I jumped up from my seat and signed up for my first missions trip, knowing that the Holy Spirit was the source of this prompting. So in Haiti, Jan. 2012, my missions journey began and I have been forever changed. I have been assisting Don with concert scheduling details since 2012 as I was so impressed with the integrity and impact of the ministry. I have since been to Haiti twice and India once with large imprints left on my heart from the orphans and widows. I hope to participate in more trips and encourage anyone considering to go! · For Colton as he plans for future mission trips and serves in Haiti. · For Caleb and Payton as they are in India this month taking pictures, videos and doing interviews to help us improve our presentation of the ministry to orphans and widows. · For completion of phase one of our new orphanage in India, and the raising of funds for phase two . · Praise for God’s provision for our Haiti orphanage through the Haiti Garage Sale at Judson Baptist in Joliet. $17,577.58 was raised! Thank you so much to the army of volunteers. that made this event a huge success! In May, Colton led a team from Minooka Bible Church (Minooka, IL) to Haiti. The pictures above are of the house that was built by their January team. They came back to paint it! It looks great!!! Cite Soliel is a rough area, but God used the gangs as protection. The locals really appreciate what our teams are doing for them. Slowly we are seeing an interest as we share the gospel message. Below is a picture of land we hope to purchase and build 4 homes for widows. We will buy the property, build the homes and turn the property over to the church to care for the widows. We will use the earthblock machines we wrote about last month to build the homes. Please pray for us as we continue to seek God’s will for us as we minister in Haiti. Pray for Colton as he is living there. Pray for his safety and sensitivity to God’s leading as he serves. Also, please pray for Don as he travels presenting Christ and our ministry in churches here in the USA. THANK YOU FOR MAKING IT POSSIBLE FOR US TO REACH OUT IN THESE WAYS! Want our ministry update in your email inbox each month? Sometimes we are simply overwhelmed! Last night I was trying to see what could be done to help the situation in India where the wells are dry at four of our widow’s homes and orphanages. We decided to try drilling the current wells deeper. Praise God there was money in our emergency water fund. Please pray that they will get to the water table! Hema, a little girl in India, has leukemia. The treatments are expensive. We sent enough for about half of the chemo treatments. We wait to see where the rest will come from. In Haiti there are many issues to deal with, including finding a new home for our children as our lease expires in June. Possibly we will be able to renew for another year if nothing is found. One of our workers there has cancer on her lips and throat requiring multiple surgeries. How much can we afford to spend in helping her? In Honduras we still have issues with the property deed at the children’s home. We live day to day wondering how it can be resolved. So far all we have found are lawyers that take money and then do nothing. Our monthly budget at DSM now exceeds $20,000 just for the support of widows and orphans, and that is before we pay our own bills. I AM SO GLAD THAT GOD IS IN CONTROL!!! Here’s the good news: Our children are doing well in school in all locations. They LOVE to worship the Lord! A rice farmer volunteered free water to one of our India orphanages until we can resolve the problem. Colton’s outreach is going very well in Haiti and he is making wonderful contacts. Teams continue to visit and encourage us in all of our ministry locations. This fall Colton will oversee the building of a school in Zambia. At concerts there is a wonderful presence of the Lord. Hearts are being changed! We are making plans to build 4 new homes for widows in Haiti. And there is much more to be thankful for!!! NO, GOD IS NOT OVERWHELMED!! THE FUTURE IS AND REMAINS IN HIS HANDS! Colton spent time this month with the children at our children’s home in Haiti teaching them how to grow box gardens on the roof. They LOVED it! Please continue to pray for Colton in Haiti!